Andrea Peterson at "Paint Out"
In the style of an old Western shootout, Main Street will be closed to traffic for a “Paint Out” event on Saturday, November 10, from 10:00 a.m. to 12:00 p.m. Thirty artists will use paints and brushes (instead of guns) to create a work of art. Andrea Peterson, a Wilde Meyer artist, will participate and represent the gallery. 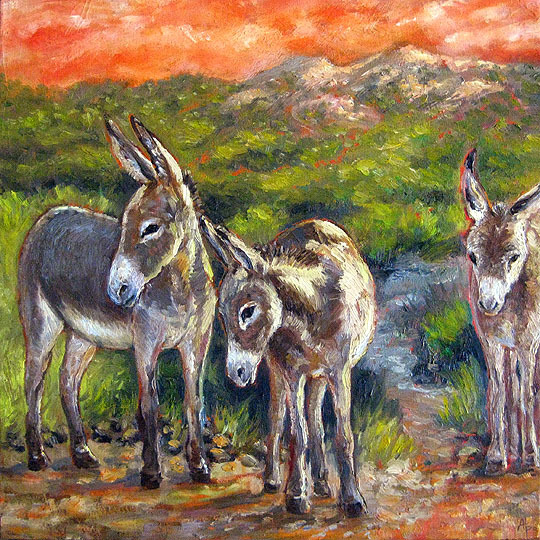 "I’m so excited to participate in this awesome event, and I'm planning to start and complete a small burro piece with an abstract red background,” she said. 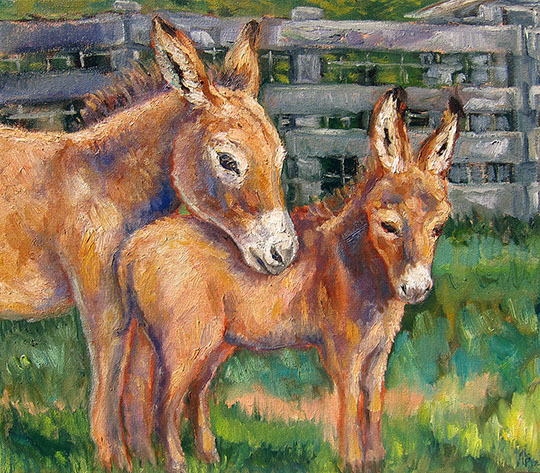 Andrea has done several charming burro paintings, including “Shady Baby,” “Three’s a Charm and “Sunny Days,” so it will be interesting to see her complete a smaller one in such a short time. Right after Andrea and the other artists finish their pieces at noon, they will be auctioned off to the public. 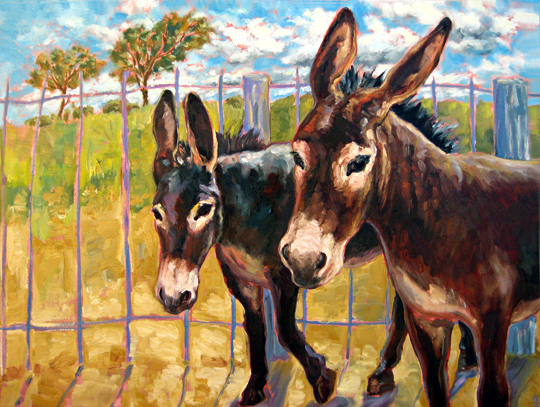 So come by and enjoy this fun event, which is part of Scottsdale’s “Fall for the Arts” weekend. Correction: This event was originally listed as "Quick Draw". The event is now called "Paint Out".